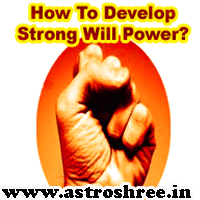 How to increase will power, best ways to increase self confidence, gems stones to increase will power, pooja to increase confidence, Importance of will power to get success, Best tips to increase the will power, Astrologer for Strong Will Power Tips. Will power is very important part of our personality. With the help of will power it is possible to win the world but due to lack of will power a person is compel to live a very common life. It is also said that "Where there is a will there is a way"
What is this will power? Is it possible to develop a strong will power? Do occult science help us to gain a positive will power? Here i am clearing the answers of these questions. Hope this article will clear many things before my honourable visitors. Will Power is a intrinsic power of a person to do some thing in life or at any moment. Let's understand this with an example - suppose if you decided to wake up early in the morning but some times you fail and some times you win to do so. The time when you win is because of your strong decision which is the will power. What is the Importance of This Will power? This is a very important question that why it is important. So let me clear you that the successful persons have good will power to win this world. This is the will power which compel the person to work hard to make the name, fame, money etc. in this life. Senses like rest and so they don't allow a person to work easily but due to strong will power person is able to do any thing in this life. It is due to the will power a person is able to make him self or her self god and it is also a medium to make our self demon. So will power is such a quality in every human being if activated properly can change the whole life. How to increase will power, best ways to increase self confidence, gems stones to increase will power, pooja to increase confidence, Importance of will power to get success, Best tips to increase the will power. Yes, some persons are born with strong will power but there is need not to worry if there is a lack of will power in life. It is possible to develop strong will power through various ways of occult science. Through proper analysis it is possible to find out the reasons of weak will power in any one. 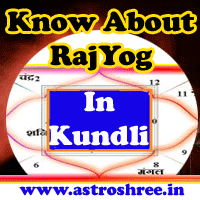 Planets are source of energy and if the planets are in strong positions in horoscope, birth chart of kundli then no doubt the person will have good and strong will power but in case of weak planetary power or malefic planets in horoscope the person is not able to have the real will power to win the world. So if you are lacking some where, if you are unable to get success, if you are unable to take proper decision in life, if you are weakness in doing any work then don't worry. Just get the proper analysis of your horoscope and get the best ways to increase your will power. By wearing right gems stones it is possible to increase will power. By using the ways of self-hypnosis technique, it is also possible to develop strong will power. There are various mantras if chant properly you can find good changes in your self-confidence. There are various Yoga practice which can help you to increase will power. There are special kawach which if a person wear it will increase the will power tremendously. So occult science will help you a lot to increase your will power to get success in this world. So have trust on your self and take consultancy to make the life bright. How To Treat Depression With Astrology and Occult Sciences? How to increase will power, best ways to increase self confidence, gems stones to increase will power, pooja to increase confidence, Importance of will power to get success, Best tips to increase the will power, Astrologer for Strong Will Power Tips..